Pig Eat Ball is getting better and better almost every day! (I say almost, because there are definitely *some* days where things go backwards and you feel like just going to bed and starting over the next day :). But seriously, things are moving along and little bits and pieces keep improving. 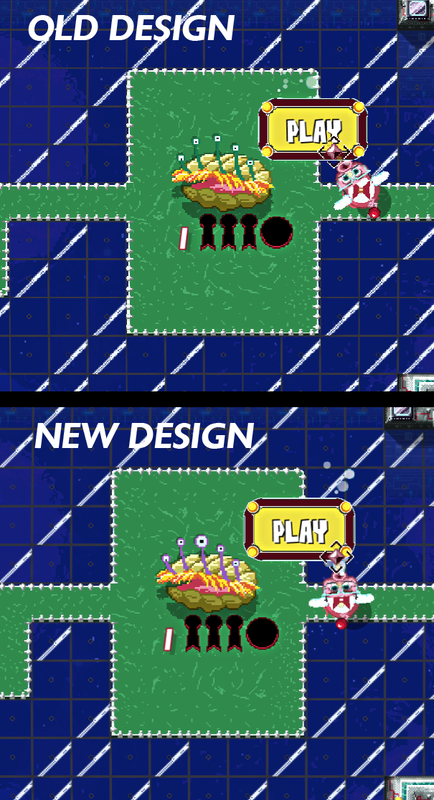 We are in the middle of polishing up world 4 (out of 5 total). I've done a second pass on the world boss, and he's fun and playable now. We are now balancing the 30+ levels, adjusting their placement, their order, and their difficulty. It's tricky because at this point, when playing, the player is 3/4th of the way through the game. So we can expect them to know most of the basic tricks, but there's still new gameplay being introduced! Making sure the game is fair, challenging, but also not babying the player is a fine balance. 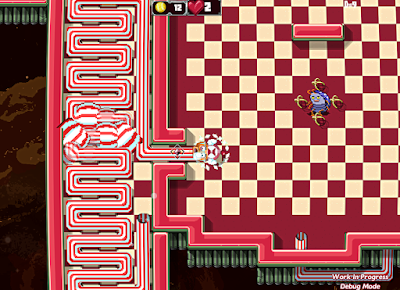 Sneak peak of "Pie Dodge" level from world 4. Note the balls being sucked through. My lead level designer Andrew Curry has done a fine job whipping up dozens of inspired levels. And we keep smoothing out each level, playing it dozens of times, and then looking for slight object placement adjustments to make. 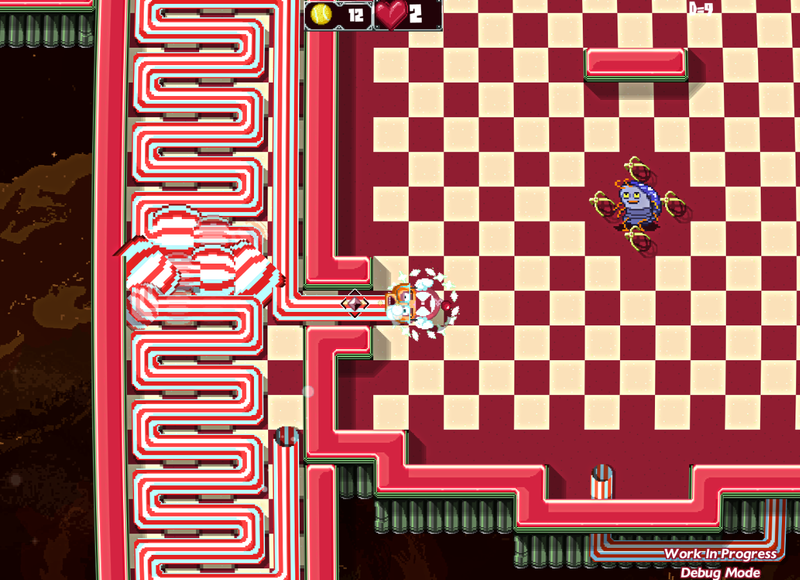 I really like that part, sort of "optimizing the fun" in each level. Lots of little fixes are being made, for instance, I made a change recently in which the striped straws now pulse quickly in size, if you are sucking balls through them. It makes it much easier, in the labyrinthine layouts of straws, to see which exact straw you're using and where it's connected. I've been working on making the Royal Clams more expressive and visually interesting. Silly me, early on I made their eye-stalks green, but the background floor is sometimes green too! I've not changed their eye-stalks to purple. And I gave them one larger eye! I really like the new design as it focuses your attention and, again, makes them more expressive. He can also blink now! Notice the new color on the clam, and the larger middle eye. And one more big thing, Matthew Barnes, our programmer, is hard at work coding in all the Achievements/Trophies into the game! It's a pretty sizeable list. Some of them are easy to add (eat 1000 balls, etc). Some are really tricky to do and take longer to code, but those are the most fun ones to find as a player. Okay, back to more world 4 work, and more bug fixes!